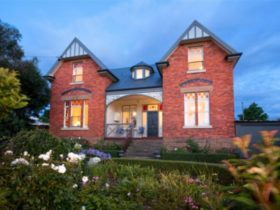 Werndee offers self-contained cottage accommodation on the grounds of a federation mansion in Mount Stuart, Hobart. 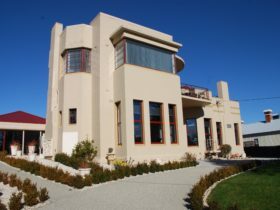 Mount Stuart is a few minutes’ drive from Hobart’s central business district. Wren cottage is a level access, pet friendly, 100+ year old cottage with loads of charm and character, a fabulous latex king size bed and modern kitchenette and wheelchair friendly bathroom. The Folly is a two storey turreted cottage, comprising Griffon, a two bedroom, four person and pet friendly ground floor apartment, whilst the upper level Grace apartment caters for two people only, no pets or children, and is elegant and stylish, with lovely views. Both have well appointed kitchens with Smeg and AEG appliances and washing machines. Griffon has an enclosed yard and patio area for outdoor relaxation. 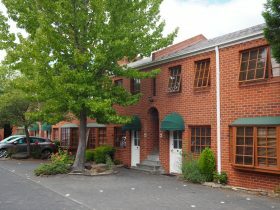 A few minutes’ walk to one of Hobart’s best grocer shops, restaurants, the Friend’s Swim and Gym, State Cinema complex,and a very frequent bus service into the city. Calvary hospital is a seven-minute walk, suitable for visiting relatives and we offer reduced hospital rates on request. Hobart’s waterfront is only a five minute drive. Wren cottage is our wheelchair friendly cottage with level access and accessible bathroom. It is pet friendly with large enclosed sunny atrium and is fully fenced. 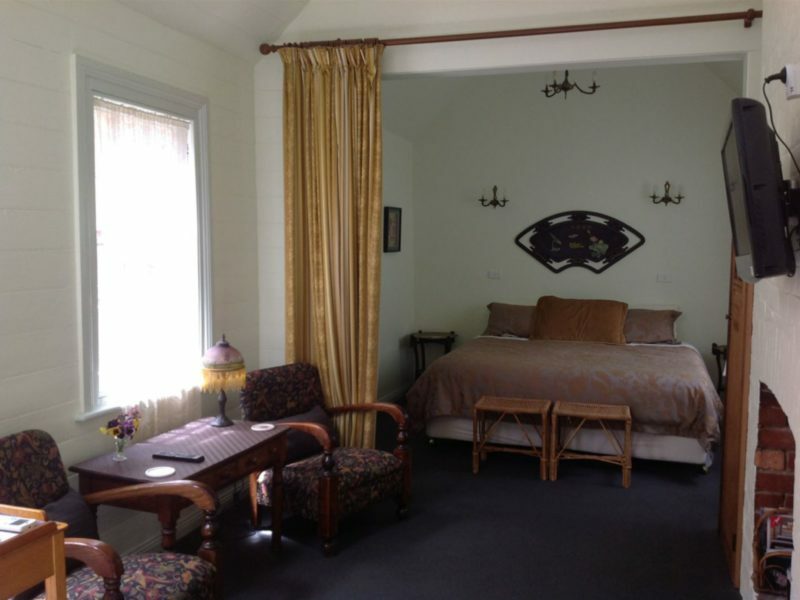 Charming and cosy, with a superb king sized bed with latex mattress, woollen electric blanket and comfy doonas with quality linen provided. It suits two people only. A kitchenette is well stocked with cooking facilities and supplies. Guests are welcome to pick herbs and citrus and seasonal fruits from our large citrus grove and garden. 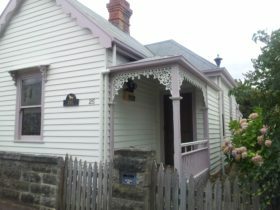 Wren cottage is 100 plus years old, has been fully renovated without losing either its charm or its original features. 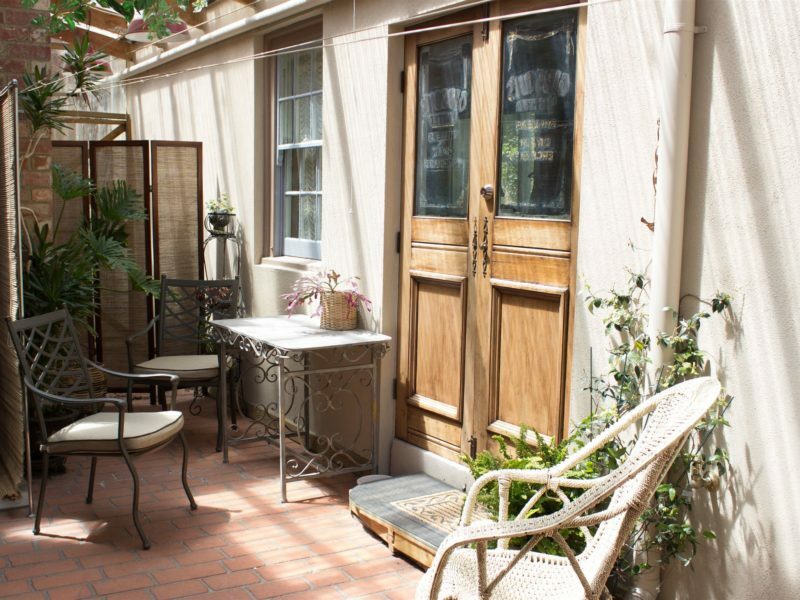 Double french doors open to the sunny garden atrium, ideal for relaxing in after a hard day of sightseeing. 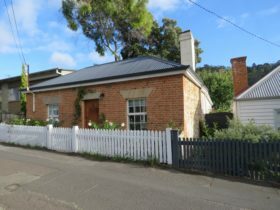 The Folly is our new stylish two story cottage built in 2017, comprising the ground floor Griffon apartment with is pet friendly with enclosed patio area and suitable for up to 4 people with a split king bedroom and queen bedroom, full kitchen and laundry facilities. Pets are allowed inside. 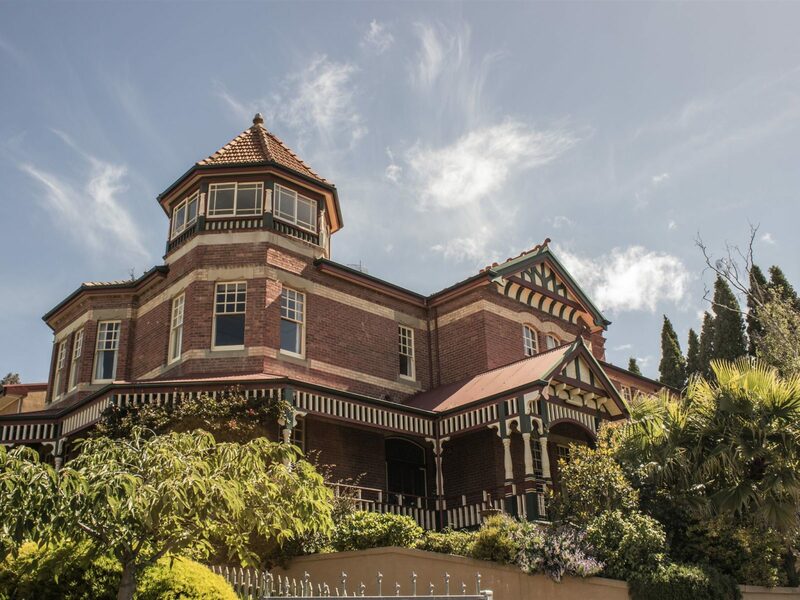 The upper level Grace apartment ( only two steps to access from its own driveway ) is stylish and elegant , suitable for two adults ( no pets or children ) with verandahs , sweeping views and all day sun. Both apartments have fabulously appointed kitchens with Smeg , and AEG appliances. Two night minimum. Extra person tariff of $20 per night.